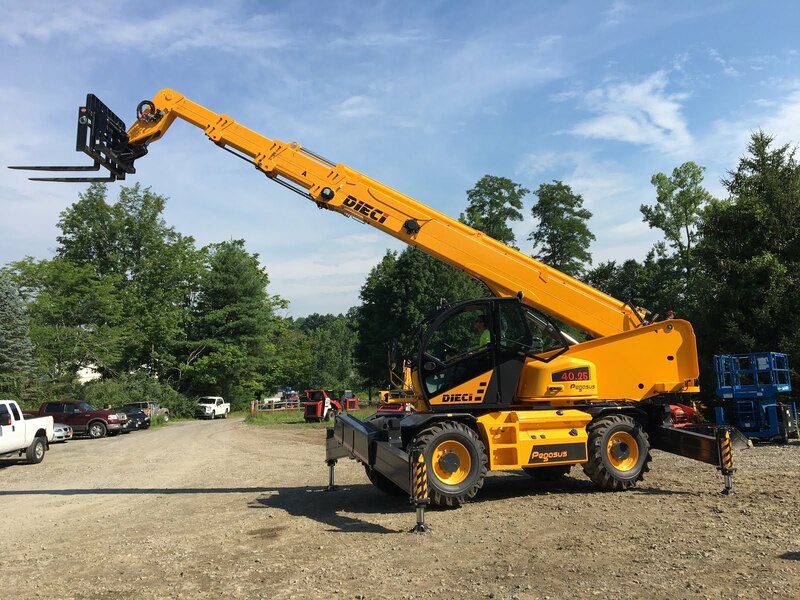 The Dieci Pegasus 40.25 rotating telehandler has a lifting capacity of 8,810 lbs and a 25 mph road speed, making it both an efficient and powerful machine. 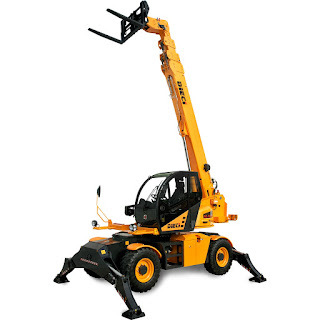 With a 79 foot maximum lift height, it is ideal for many different job sites. This workhorse has a FPT 141 HP turbocharged diesel engine and anti-tipping protection with stabilizers for safety. When faced with space limitations on a job-site, the Pegasus Rotating Telehandler is easier to maneuver than a conventional telehandler, making it ideal for urban projects. It gets the job done faster and safer as it's full rotating capabilities cut down on re-positioning around your loading or unloading area. The Pegasus rotating telehander can be utilized as a rough terrain crane as well as a telescopic forklift, helping you save money on logistics and additional services. For questions, or to inquire about a rental, call 1-800-DURANTE or check our our forklift rental website.